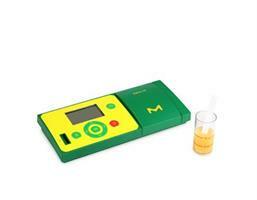 EPA 503.1 Volatiles Mix 2000 μg/mL each component in methanol, analytical standard. This kit was developed for sampling of nitrous oxide, isofluorane, ethrane, halothane, and sevorane in surgical theaters. Parts for one complete sampler are packed separately in one sealed and sterile bag. Pack of 10 sterile bags. 2-Isopropyl-3-methoxypyrazine solution 100 μg/mL in methanol, analytical standard. Gas Sampling Bulb size 500 mL, PTFE stopcock.